When do you need medical supervision during drug or alcohol withdrawal? An exclusive Q&A with medical detox providers here. Drug detox is the first step in any rehab program. While detox doesn’t usually alter the course of long term drug use (you really need to address deeper issues), it is the basic process that stands between continuous drug use and the path to sober living. So, when can you go through detox and withdrawal at home? Who needs to go through detox and when SHOULD you seek medical supervision? We review here. Then, we invite your questions about medical detox at the end. In fact, we try to respond to all questions personally. Medical detox and withdrawal: When? When you stop drinking or using psychoactive, your body starts going through the withdrawal process, characterized by a set of predictable symptoms. While usually not life threatening, withdrawal is a rather unpleasant and painful experience. Chemical dependence alters the way the central nervous system functions, and it usually takes at least 7-10 days for acute symptoms to resolve. Withdrawal also triggers strong cravings for your drug-of-choice that can be really hard to control. What is a medical detox? Medical detoxification is the process that helps a person to systematically and safely withdraw from drugs or alcohol, while being supervised by a staff of medical professionals. To learn more about medical detox, we turned to the professionals that provide the services to get correct answers to specific questions about this topic. How does one prepare for withdrawal? What can a person expect from detox in a medical clinic? What kind of medications are provided and why? What kind of professionals supervise the process? If after reading this interview you still have more questions, feel free to post them in the comments section below. We will make sure you receive a quick, personal and professional response. ADDICTION BLOG: What is medical withdrawal? THE BRIDGE BEHAVIORAL HEALTH: “Medical Withdrawal” is a program that uses medical monitoring of vital signs and symptoms during alcohol or drug withdrawal that provides appropriate prescription and nonprescription medications to respond to changes in vitals or mitigate symptoms. 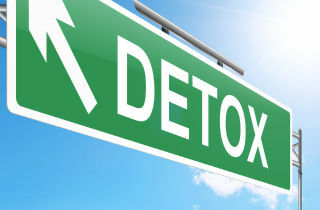 ADDICTION BLOG: When is medical detox necessary? For medical safety. For instance, alcohol withdrawal can cause dangerous symptoms for someone chronically addicted. If someone is unable to discontinue use because the symptoms are bad enough to prompt the individual to keep using. ADDICTION BLOG: Can someone go through withdrawal at home? Is this recommended? Why or why not? THE BRIDGE BEHAVIORAL HEALTH: Yes, you can go through withdrawal at home… but it really depends on the level of addition and the severity of physical symptoms present. For instance, even though using methamphetamine is more dangerous than the withdrawal it causes, if someone’s symptoms prevent them from discontinuing use, it is a good idea for them to come to a medical withdrawal program for assistance. ADDICTION BLOG: How does someone prepare for withdrawal? THE BRIDGE BEHAVIORAL HEALTH: Just go! If you spend too much time thinking about who will feed the cat and take care of other day-to-day obligations, you’ll get lost in the details. ADDICTION BLOG: What can s/he expect after walking through the doors of a medical detox clinic? What’s the process like? THE BRIDGE BEHAVIORAL HEALTH: Even under the best care, there will be discomfort both physically and emotionally. Medications to ease some of the symptoms of withdrawal may be available and you’ll have the opportunity to speak with a counselor. But even with medications and some counseling, the process is still uncomfortable. Expect to be asked a lot of questions, maybe by numerous people. We’ll need to know what substances you use, how much, how often and when was the last use. Even if you can’t remember for certain, give your best guess. We will also talk to you about further treatment. Some people believe that withdrawal is all they need but in the vast majority of cases, some treatment is needed to help maintain sobriety. When you are feeling good enough to talk about it, we’ll help you develop some next steps for after you leave. Steps will likely include an evaluation and a recommendation for level of treatment. ADDICTION BLOG: Is medical detox painful? THE BRIDGE BEHAVIORAL HEALTH: It is usually uncomfortable for people. Everyone’s personal perception of pain is different. Medical intervention can help alleviate some but probably not all of the discomfort. ADDICTION BLOG: What kinds of medications or interventions are usually provided in a medical detox? Do these mainly address symptoms or cravings? We will monitor your blood pressure and other vital signs and administer medications to keep you stable if necessary. ADDICTION BLOG: What kinds of medical professionals supervise medical detox? Is there someone “on call” 24-7? THE BRIDGE BEHAVIORAL HEALTH: In our unit, we have a medical doctor (MD) available to assess you and set up medication orders. Additionally, your symptoms will be monitored and managed by a registered nurse. A licensed alcohol and drug counselor will meet with you daily. Finally, our Recovery Advocates, or technical staff, are available to help answer questions about your stay and even lend an ear if you need someone to talk to. ADDICTION BLOG: Can patients contact friends or family during medical detox? THE BRIDGE BEHAVIORAL HEALTH: In our program, clients may call a supportive friend of family member three times per day. We don’t encourage constant conversation or contact with someone who isn’t supportive of their attempt at sobriety. ADDICTION BLOG: What kinds of emotional support should medical detox clinics offer? THE BRIDGE BEHAVIORAL HEALTH: We offer a lot of encouragement. We let them know that they have the strength to get through this and that their own strengths and assets will be beneficial to them. We also offer knowledge in the form of what treatment can offer and how they can access it. ADDICTION BLOG: How much clinical supervision is required if you detox in an outpatient setting? THE BRIDGE BEHAVIORAL HEALTH: We don’t offer outpatient withdrawal at our clinic but a person should probably be seen by a clinician daily if they are having symptoms. In our community, if someone is having trouble getting through the withdrawal process on their own, we encourage them to stay with us so we can monitor their symptoms and medications.